Reading Maleficent while having a dreaded cold combined with headache. Wanted to read this before the movie anyway! Really liking it so far and oh wow was there a shocker of info before the story really even kicks into gear!! A most difficult feat for me since not many of my books I've read were actually all about friendship. Or had friendship as a main theme. Apparently all I could come up with were YA titles! Not too many adult titles were ringing in my head as books of friendship. 1. Vampire Academy by Richelle Mead--you can say friendship's a theme here, because Rose and Lissa are BFFs and Rose will do anything and everything to keep Lissa safe. 2. 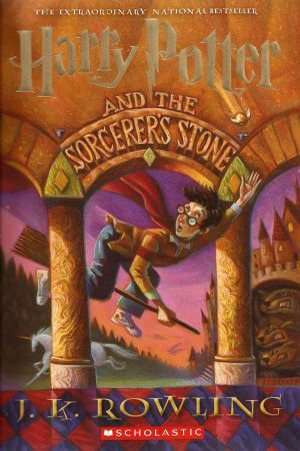 Harry Potter by J.K. Rowling--note I am not specifying any title exactly, because all the Harry Potter books exhibit a great emphasis on friendship. Harry, Ron and Hermione are truly the best of friends and are always there for one another! 3. Secrets and Shadows by Shannon Delany--another series where you can say just about any of them place a great emphasis on friendship. Jessie has some great friends on her side and even when one gets hurt, there's no stopping her and the rest from protecting that friend at all costs! 4. 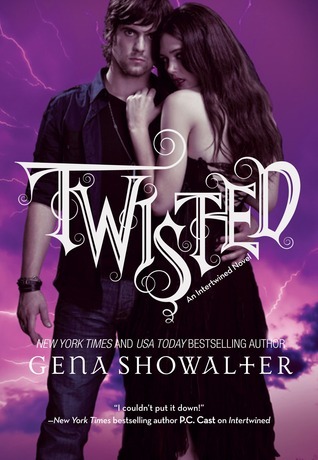 Twisted by Gena Showalter--you didn't think I would not mention a fave series that needs help and love to be continued, did you? Aden has got some great friends at his back and in his head, and that's only one of the reasons why I love this series! BUY BUY BUY!! 5. 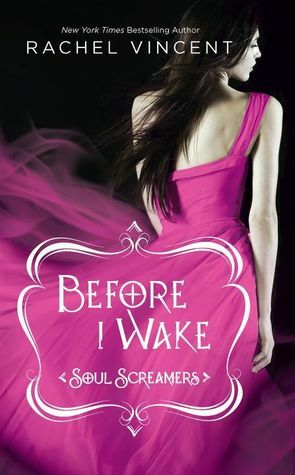 Before I Wake by Rachel Vincent--again, this is a series where you can pick almost any book for a friendship theme! Kaylee's best friend Emma, truly is the greatest! And Kaylee's already proven more than once what lengths she'll go to, to keep Em safe! 6. 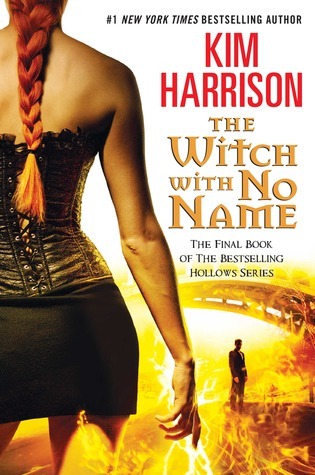 The Witch with No Name by Kim Harrison--really I just chose this cover because I love it! It's all new and shiny! Rachel, Ivy, and Jenks are another great trio of friends! They all go to amazing lengths to help each other out and keep each other safe! And this final book will prove no different I am sure! 7. 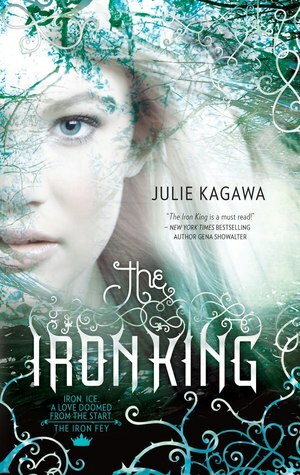 The Iron King by Julie Kagawa--I thought Meghan and Puck's friendship was truly awesome here! Even when she knew him as Robbie, he was the best friend she had! Loved their friendship. Besides, Puck is just awesome! 8. 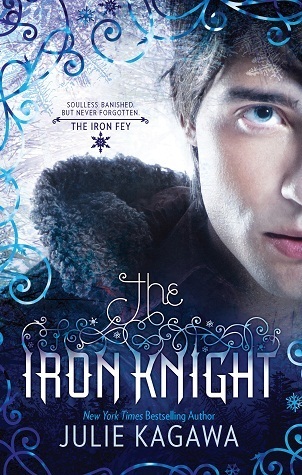 The Iron Knight by Julie Kagawa--yup, more Puck! Puck and Ash used to be friends, then they weren't. But here we get to see a bit of that spark of friendship again and I loved seeing how these two worked out their differences...to a point. 9. The Collector by Victoria Scott--Charlie may not be popular, but she does have some good friends. She's a great friend! Even Dante's best friend (sooo blanking on his name) was great! While the two aren't quite good at the moment, they were pretty funny together! 10. What's a Ghoul to Do? 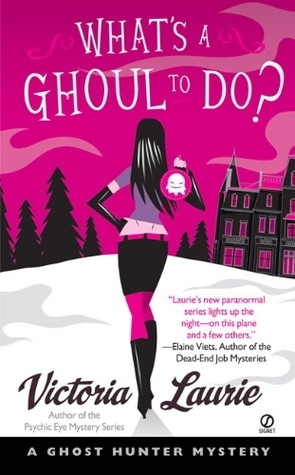 by Victoria Laurie--aha! One more adult book that sprang to mind for friendships! And it's not just the one book either, the series as a whole to date have a good friendship between M.J. and Gilley! Ever since they were kids these two have been friends! And I love their friendship! They each seem to know what the other needs when they need it! Even if M.J. wants to kill Gilley like 75% of the time! Awesome top 10 Jessica! I would pick a lot of them too! 5 of the 10 I have read as well! Enjoyed the Teaser too... 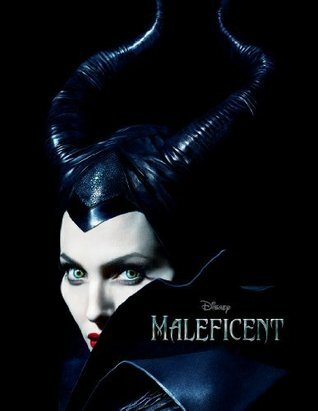 I haven't read Maleficent, but the movie looks awesome! I totally love the Harry Potter trio. ;) I've only read 3 of the books, so I kind of don't feel like I'm qualified to put them on my list! But they are awesome (and realistic). x) My TTT! I love these selections, especially The Iron Fey series, Harry Potter, and Vampire Academy. VA in particular has one of the strongest friendships I've ever read, I can't believe I left it off my own list. Didn't know Maleficent was a movie adaptation of a novel. I hope you get better soon!!! Jessica, I was *this close* to including the Iron Fey series because of Meghan's and Puck's friendship too! Good call adding them to this list! Fabulous list. I picked up Vampire Academy for my daughter recently. I'm hoping she reads it next. She just finished off all the available books in The Mortal Instruments series and the Percy Jackson series. A big high five for Harry Potter. Oh, and I thought of Vampire Academy only after seeing it here. That is actually apt since Rose and Lisa share a great friendship. Also, I have to agree with Intertwined as well. I did consider it, but my other choices made me put it aside. Nonetheless, I'm glad you had it up. Fabulous list. Thank you for stopping by my post earlier. Have a bookish week ahead. I REALLY want to read the Soul a Screamers series. I keep saying once I'm caught up with review books (yeah right, like that will ever happen LOL!) I can start a few series I want to read, such as that one. It's so hard when there are soooo many amazing books out there!! Great picks as always! I 100% agree about VA!! I haven't read Maleficent (Best Disney Villain EVER! ), but the movie looks spectacular!! Great list! VA was my first thought for this topic and I adore Ash and Puck's friendship! I ended up with all YA books -- but I like the adult books you came up with. You're right -- MJ and Gilley have a wonderful friendship that is so fun to read through the series. MJ! Gilley! Oh I love those two, they are absolutely hilarious, and have such a lovely friendship. Great teaser, I hadn't realized there was a book attached to the movie, I'll definitely see if I can get a copy! Nice list of friendship books. I didn't even know Maleficent was a book. Happy reading! I love this list! I've seen lots and lots of people use Harry Potter, but it is interesting to see the other unique books as well! I really want to read the Rachel Vincent books, I hear they are amazing! I love Puck! And of course Harry Potter has some great friendships. Nice tease, Jessica! I haven't read Maleficent but I'm looking forward to seeing the movie when it is released. Yay Harry and Iron Fey! Great picks - I wasn't familiar with any of your other picks (yet at least) but I do love the Golden Trio and Puck! Which reminds me I need to hurry up and get caught up on the Iron Fey series…I haven't even read the Iron Knight yet - thanks for sharing! I had no idea that they made a book for Maleficent. I hope it's great! I want to see the movie so badly :D Love the choices you picked for friendship. They truly do have some great friends there. Jaclyn @ JC's Book Haven. Nice choice with the Laurie one. Friends will warn you when you're about to do something dangerous but only great friends will actually follow you into harm's way. I do love the friendship between Kaylee and Emma in the Soul Screamer's series! I just finished My Soul to Steal, so it's fresh in my mind. I love that despite everything, Emma sticks with Kaylee! ah! I did not know Maleficent was a book, too! It sounds awesome, so I'll need to get my hands on that one.